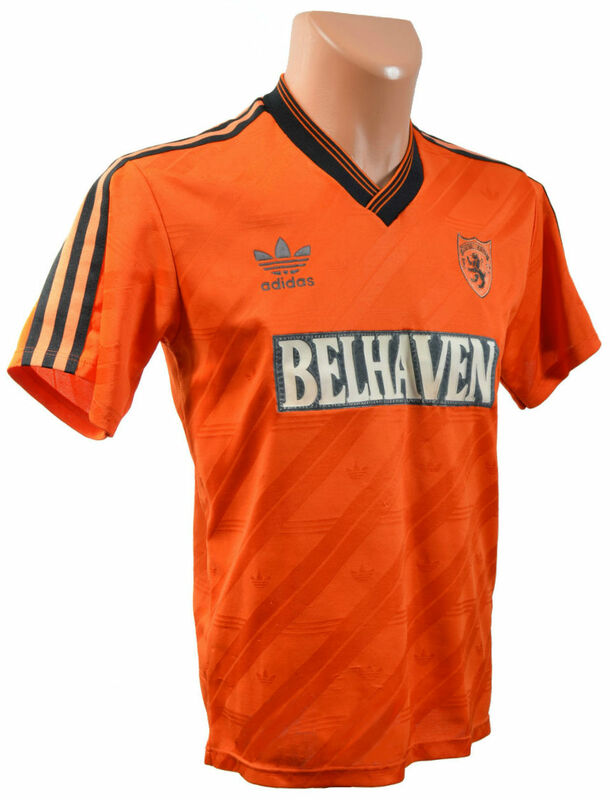 The United kit for the 1988/89 season was exactly the same as the previous year, with one quite obvious change. The pattern in the shirt remained, with the diagonal and horizontal lines including the Adidas logo throughout. The black and tangerine trim V neck had the same overlapping design, and the Adidas stripes ran from the collar down each sleeve. The black socks and tangerine socks again had the three stripes of Adidas as trim. 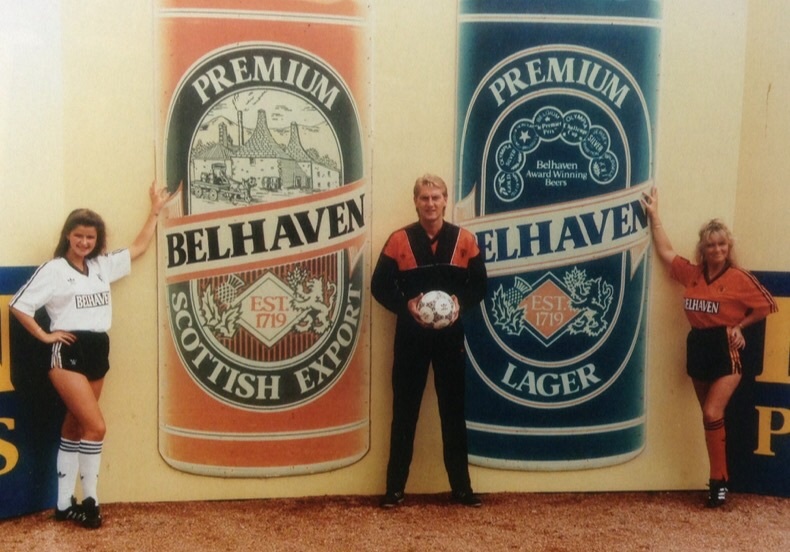 Belhaven Breweries had agreed a three year deal in 1987, but their logo was to change on the new top after just one year. The black text was now replaced with a much more striking look, with just the one word, Belhaven, written in bold white text and enclosed in a black panel. The shirt with its new logo made its debut in Paisley, where United beat St Mirren 1-0 in the opening day of the season. Like its predecessor, it was only used for the one season, with memorable matches being the five straight victories of Dundee, the marathon Scottish Cup tie with Aberdeen - where Mixu Paatelainen decided the tie with a superb strike in the 2nd Replay - and the outstanding performance in the 2-2 draw with Rangers at Ibrox Stadium in the Quarter Finals. It's final match was a 0-1 defeat to relegated Hamilton Accies at Tannadice in the final match of the season, which was also Paul Sturrock's last match as a player as he retired due to injury not long after.